Tushar Arjun, a well-known singer and music director from Assam is not just a State icon for his flawless voice but has earned quite a name for himself in Mumbai. With his relentless hard work and passion to bring the Assamese folk songs to a larger audience he forayed into the world of music. Tushar was a participant of Zee TV’s reality show ‘SaReGaMaPa’ in 2007, and in 2011 he took part in Sony TV’s reality show ‘X-Factor’. Tushar was also on Colors TV’s reality show ‘India’s Got Talent’ to represent the State. He was also a chief guest in Zee Bangla’s reality show ‘SaReGaMaPa’ in 2015. Although he stayed in Mumbai, he always kept himself tethered to the State and that’s why in 2009, he returned back to Assam. Tushar Arjun has lent his voice to over 300 Assamese songs including Modern, Bihu and Mobile Theatre songs. 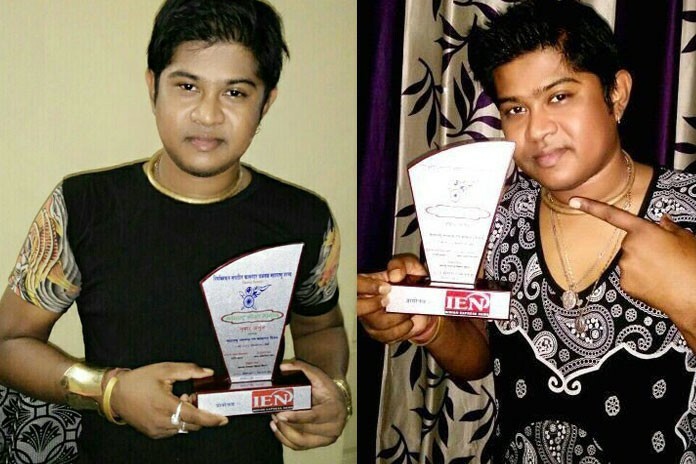 Tushar Arjun for his Hindi song ‘Tere Bin’ from the album ‘Jeena Sakenge’ was recently felicitated with the ‘Maharastra Gaurav Samman 2016’ award. The song has been penned by Hrituv Hazarika, one of the most promising lyricists of Assam. This is Hazarika’s moment of joy that the first Hindi song he wrote has received such an award. The song has been composed and sung by Tushar Arjun. All the songs of the album ‘Jeena Sakenge’ have been penned by Hrituv Hazarika and the album will hit the market soon. Besides these, he is directing music and singing for two Hindi feature films titled ‘Ishq Sufiyana’ and ‘Heer’ and two telefilms titled ‘Khoj’ and ‘Roushni’ which are a work in process. The music for ‘Ishq Sufiyana’ is being recorded at ‘Yash Raj Studios’, Mumbai. Tushar is involved in various Assamese projects too. He says that it is only the love of the people and his fans everywhere that artists like him are doing well.